Starbucks in downtown Evanston, 1734 Sherman Ave. Equity and Empowerment coordinator Patricia Efiom said she will host equity forums on May 29 in response to an incident of racial bias in a Philadelphia Starbucks. In response to the arrest of two black men at a Philadelphia Starbucks last month, Evanston officials have organized public forums for residents to discuss the incident and reflect on greater issues of racism and discrimination in the country. On April 12, two black men were arrested at Starbucks after they tried to use the restroom without purchasing anything. After the men declined an employee’s request for them to leave, the employee called the police. The men were escorted out of the coffee shop in handcuffs, and the video of their arrests went viral — sparking a national conversation about racism and discrimination. Five days later, Starbucks announced it would close its more than 8,000 locations in the United States on May 29 to conduct “racial-bias education,” according to a news release from the company. Evanston officials also decided to hold equity forums on the same day. The equity forums will take place on May 29 at 10:30 a.m., 1 p.m. and 3:30 p.m. at the Lorraine H. Morton Civic Center. Each session will last about an hour and a half, according to a news release from the city. City manager Wally Bobkiewicz said he hoped participants will discuss what issues caused the incident at Starbucks to occur and what the community can do to prevent racial bias in Evanston. “How can we better educate ourselves and educate our neighbors so that these incidents don’t occur in our future?” Bobkiewicz said. According to the release about the forums, participants will watch footage from the April 12 incident and discuss how the community can be aware of implicit bias. Bobkiewicz said holding the meetings on the same day as Starbucks’ presents an opportunity for individuals to talk about race and discrimination on a local level. He said when “millions of people” go to get their morning coffee around the country, they can stop and think about these issues that face the country. 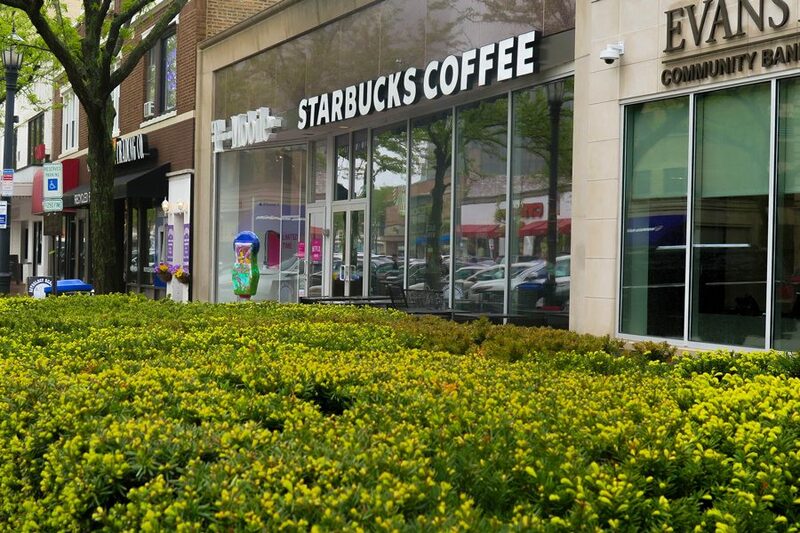 Evanston equity and empowerment coordinator Patricia Efiom said she had planned to hold forums on the topic regardless of the incident, but Starbucks’ training increased the urgency and timeliness of the meetings. She said the company’s announcement of the racial bias training provided a chance for the city to “chime in” on current events and engage more people. Efiom said the equity forums are meant to be “community conversations” and will focus on implicit bias and how individuals can respond differently to racially charged situations. Bobkiewicz said the forum fits into the city’s larger efforts to emphasize equity and diversity though trainings for city staff, budget discussions and community engagement like the Starbucks forums. He said civic institutions in Evanston are “very sensitized” to the issue of equity. However, Efiom described Evanston’s views on race relations as divided — white people often think things are fine while people of color feel the city is “missing the mark.” She said residents need to recognize that there are inequities in Evanston before they can properly address them. Efiom said there are many “racially conscious” people in Evanston who want to help, but she emphasized issues can’t be fixed without partnering with those directly impacted.